You probably know about Munro Leaf and his flower-sniffing, peace-loving bull, Ferdinand, who refused to fight the matador in the ring. 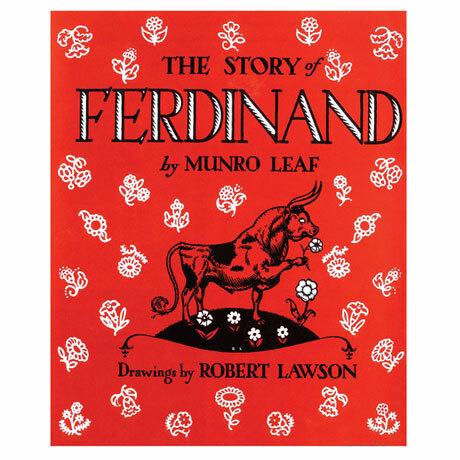 Published in 1936, The Story of Ferdinand was met with strong reactions: Hitler ordered it burned; Gandhi said it was his favorite book! Now you can share Ferdinand's timeless message with a new generation of young readers ages 3 to 8. 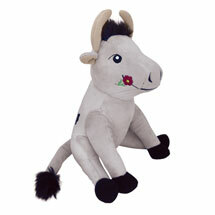 And whether they're enjoying Ferdinand's tale beneath a cork tree, in the flower garden, or curled up on the sofa, little ones will love sharing storytime with our 8½"-tall Ferdinand Plush.